Fantastic neighborhood location for this 3 BR, 2 Full BA, 1, 840 SF home! Lots of special features including a beautifully updated kitchen w/granite counter, lots of cabinets, 2 pantries & stainless appliances. Wide open LR w/updated picture window. DR w/hrdwd floor. 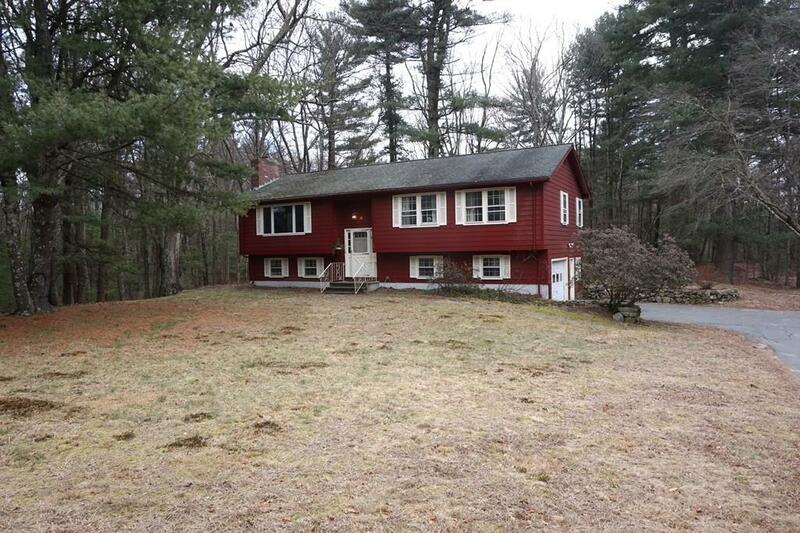 1st floor cathedral ceiling FR w/NEW Hrdwd & huge windows overlooking wooded backyard. Nice size MBR w/adjoining, updated Full BA. Lower level playroom w/wall-to-wall carpet & masonry fireplace. Laundry Room/Mud Room w/electric or gas dryer options. Also Features: NEW & Refinished 1st Floor Hrdwd, NEW 6-panel wood Interior Doors, Updated Baths, Updated Attic Insulation, NEW Washer/Dryer/Fridge, NEW Interior Paint AND...1-Car Garage w/potential to revert back to a 2-Car. Spacious, usable, private 40, 000+ SF lot. FANTASTIC location that's close to Holliston's Premier Schools, the Pine Crest Golf Course, Brentwood Conservation Area, Swim and Tennis Club and Town Center. Come See! !